Fly to Keflavik from a choice of regional airports and collect your hire car. Drive the short distance to the Northern Light Inn or stop off along the way at the Blue Lagoon, where a relaxing soak in the milky blue waters will be a perfect start to your romantic break. You may even spot the Northern Lights from the rooftop Aurora lounge at the Northern Lights Inn. After a leisurely breakfast set off for the Snaefellsnes Peninsula. It is a 3-hour scenic drive with plenty to see along the way so allow plenty of time. Near Organes there are lava caves and remarkable rock formations as well as natural, warm springs. See the imposing basalt columns at Gerduberg before arriving at Hotel Budir, the base for your romantic retreat. Dine in the candlelit restaurant and perhaps be treated to a dazzling display of the Aurora before you retire in this haven of peace and tranquillity. Your itinerary and sightseeing options will be determined by when you travel as well as local weather conditions. Snaefellsjökull Glacier, Hellnar plays host to spectacular rock formations and lava caves, whilst Kirkjufell and its waterfalls are believed to be the most beautiful mountain in Iceland. 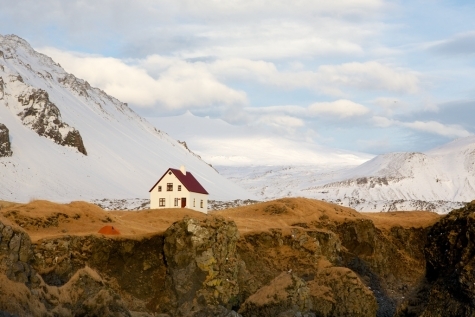 In winter Kolgrafafjordur becomes a sanctuary for wildlife seeking the sustenance given by the migrating herring. Overnight Hotel Budir. Following breakfast depart for Keflavik airport, returning your hire car in time for your return flight home. This family-owned hotel provides free WiFi and a fireplace lounge with panoramic views. Modern décor, down comforters and wooden furnishings decorate all rooms at the Northern Light Inn and each has a flat-screen satellite TV, electric kettle and seating area. Views over the Reykjanes Penisula’s moss covered lava field can be enjoyed from the floor-to-ceiling windows in Northern Light’s restaurant. It serves Scandinavian cuisine, such as fresh fish, free-range lamb and homemade specialities. 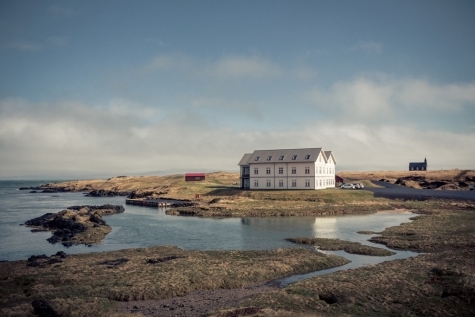 This beautiful countryside hotel sits in a lava field on the edge of the Snaefellsnes Peninsula in West Iceland. 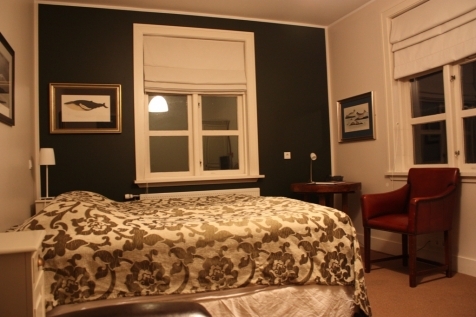 Offering stunning views out across the Snaefellsjökull Glacier and the Budir Estuary, the hotel offers a choice of charming deluxe and loft rooms. Each one is unique in style and décor, mixing modern essential conveniences (Wi-Fi and private en-suite WC/ bathtub and shower) with an eclectic mix of countryside chic furnishings, creating the perfect ambience for a romantic break. The hotel’s kitchen has long been renowned as a ‘Mecca’ of Icelandic cooking with the restaurant serving up a stunning collection of fish dishes, original starters and desserts. Mahogany bookcases, Chesterfields, walls laden with framed pictures, an open fired sitting room and a candle-lit restaurant servicing up elegantly presented food, – this is about as good as it gets.